Tottenham Hotspur to battle Everton for Portuguese midfielder? Tottenham Hotspur will reportedly offer stiff competition to Everton in the pursuit of Barcelona's Andre Gomes at the end of the campaign. The Portugal international joined the Toffees on a season-long loan from Barcelona last summer and he has since managed eight appearances after recovering from a hamstring injury. In those, his performances have been impressive enough for the Toffees to ponder over a permanent deal but The Telegraph claims that they could face stiff competition from Spurs. The north London side are understood to have sent chief scout Steve Hitchen to monitor the Portuguese during the recent Merseyside derby and they are expected to continue tracking the midfielder as the season progresses. 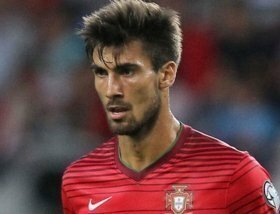 Gomes, who was part of Portugal's Euro 2016 winning squad, is expected to return to Barcelona when the season concludes and it remains unclear whether the Catalan giants would consider his potential sale next summer in the first place.